We have to admit that a major part of our life today revolve around the word "money". As a Chinese saying 钱不是万能, 但没钱是万万不能! Money is not everything, but you cannot live without money! It is all about Dollars and Cents! It should be Dollars and “Sense”. Having money alone is not sufficient. We need to have the knowledge of handling it. In the following, we will look at very basic but important aspects of successful wealth management – Financial Planning. 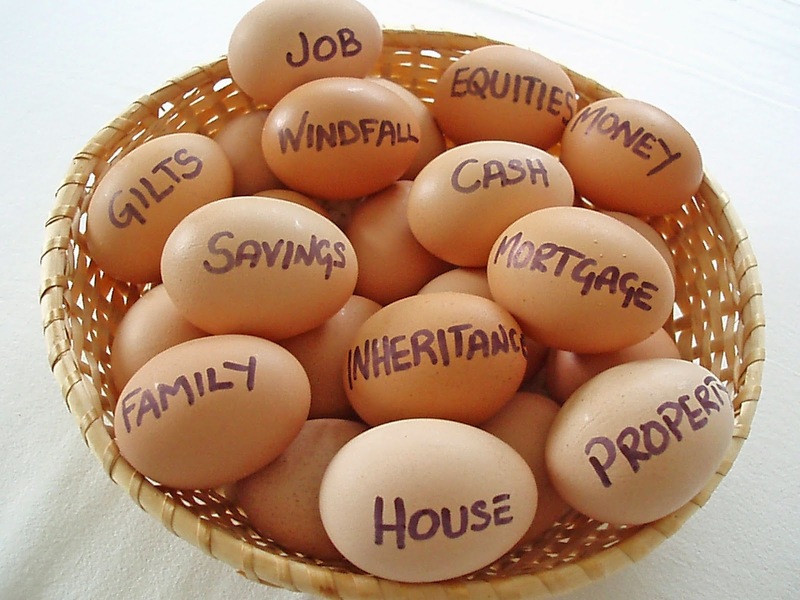 One of the most important criteria of successful wealth management is the ability to save. If we save a minimum a tenth a year, in 10 years you have saved what you earn in 1 year. If possible, I suggest we save at least 30% of what we earn when we are before age 30. Once we are married at age 30 and beyond, expenses are more hectic due to housing and children, hence a savings of 20% of income becomes more practical. Fresh graduates age 25 to 30 ys old – Save 30% of income. This group require savings for at least 5 years to prepare for marriage and housing. E.g. Average income is S$3.5k per month. Take back S$2.5k. Save 30% is S$750 per month. Plus year-end additional wage, should save at least 10k per annum. per person. In 5 years time the couple will have 100k savings. For married couples age 30 yrs old and beyong – Save 20% of income. For instance, average household income is S$10k per month. Take back S$8k. Save 20% is 1.6k per month. Plus year-end additional wage, should save at least S$20k per annum per household. In 10 years, the couple will have 200k savings. Aside from savings for marriage, housing or investments, we should also keep a portion of cash for emergency or in situations where we are out of job. The rule of thumb is to keep sufficient cash or liquid assets (readily convertible to cash) to be able to last you or your family for a minimum period of 12 months or beyond. Be consistent in your savings and soon it will become a habit. The first thing after receiving your monthly income is not to pay your bills, but to keep a part of what you earn first! Control your expenditures; do not mix up your desires with your expenses! Pay debt promptly and never purchase what you are unable to pay for. Own your house. Do not rent it. If within means, owning a bigger house progressively when you are young and downgrade to smaller house when you retire can be a good strategy. E.g. a house that is worth S$800k now may be worth S$2 million or more when you retire 30-35 years later. By the time you are 60 and beyond, you can sell it and buy a smaller house worth S$1 to 1.5 million and cash out the difference for retirement usage. What you save must earn, what you earn must compound earnings. One good way is to invest in stocks what you earn, and let the dividends or income growth compound. Refer to my earlier blog about compounding investment. Otherwise you can invest in real estate or start your own business. But before that, make sure you had acquired all necessary skills and done your own research thoroughly. Before you buy your first stock or property, first buy yourself few good books to read. Seek advice from people who had done it before you. These advices are free. If you put all your savings in the bank and earn less than 1% interest p.a., and with an inflation of 3% per year, your money will devalue 2% each year. Sound investments from stocks give return at minimum 5% per annum with successful ones 10% return or more per year. Open your stock account with Lim & Tan, POEMS etc. Alternatively you can also invest in STI exchange traded funds and blue chips at affordable rates as low as S$100 per month by opening OCBC blue chip investment plan. Guard your money from loss. Do not intrigue by huge earnings when your principal may be lost. A safe and small return is far more desirable than a high risk return. Study each case carefully before parting your money. Do not be misled by your own romantic desires to make wealth rapidly. Invest correctly or entrusting your money in safe hands. Invest in a company with track records of successful business management or make loan to a man of reputation to repay. Stay within your core competence. For instance if you are working in a bank, investing in financial institution gives you an edge to information and knowledge. Consult the wisdom of those with more experience than you in managing wealth or investment. Provide in advance for the needs of your growing age and protection of your family. Buy a comprehensive medical insurance earlier when you are free of illness. Protect your property by buying mortgage and fire insurance plan. Insure against unexpected risk of death, total permanent disability and terminal illness. The insurance coverage should be sufficient to last you and your family expenses until old age. Make a will so that you have proper and honourable division of your wealth among your family members later, without any dispute. What you earn, you must give back a part of it to the society. Have compassion for the unfortunate within you reasonable means. Without wisdom, money is quickly lost by those who have it, but with wisdom, money can be secured by those who don't have it. Is it better to strike S$1 million lottery or to acquire the skills to earn S$1 million? Once you have wisdom, you have ability to earn and this is the most important criteria in wealth creation. Cultivate your powers to study and become wiser. When you are young, work to learn and acquire all the experiences and skills. Once you acquire all the experiences and skills, the pre-requisite of success is “DESIRE”. Have you ever come across someone who is not as capable or hardworking as yourself but earning much more than you? This person probably know how to impress his boss with his work, and ask for more salary each year, while you work hard and suffer in silence without asking your manager for pay rise. When his job is stagnant, he actively seeks for more career advancement opportunity, while you are contented with your job. 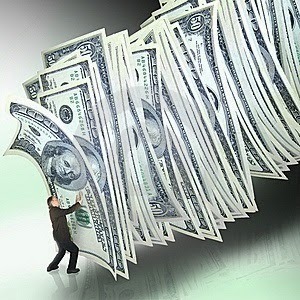 Although he does not possess ability to earn more but he had a strong desire to earn more which is extremely important. Having the ability to earn more, means increased savings or investment amount. This can guarantee your financial freedom faster. As mention in my earlier blog, investing S$3k a month and compounding 8% return over 30 yrs give you S$4 million. The same investment with S$7k a month gives you S$10 million after 30 yrs. The primary focus for young graduates should be increasing the ability to earn, follow by the knowledge and skills of investment – stocks or real estates. After-all your 20k portfolio will only earn you 2k each year for a 10% return, compare to a 200k portfolio giving 20k return. Having said that, if you are acquiring all the investment skills to be a fund manager later, then it is a different story as your skills and experience acquired now will greatly increase your ability to earn later in your career. Hi Anonymous, ok for the off topic. Anyway i am still very new in the blogging world and definitely know nothing on HTML coding. Therefore I suppose it should be WYSIWYG editor and it is very easy and interactive nowadays. Just need some time to play around. I see that you are already a member in blogger.com hence all you need is google "Blogger Help" and you can get all the instructions there. I also learn to edit my blog more effectively with the help of youtube videos. Hope this helps for now.